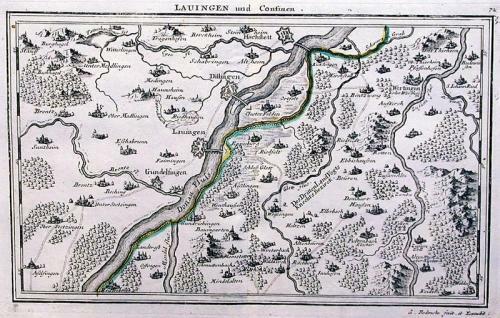 A 300 year old tourist map and guide of the countryside around the towns of Lauingen and Dillingen. Lauingen and Dillingen are situated along the Danube between Ulm and Neuburg. On the right bank of the river the country is hilly and heavily forested. There are numerous towns, villages, churches and monastries marked on the map. Scarce.